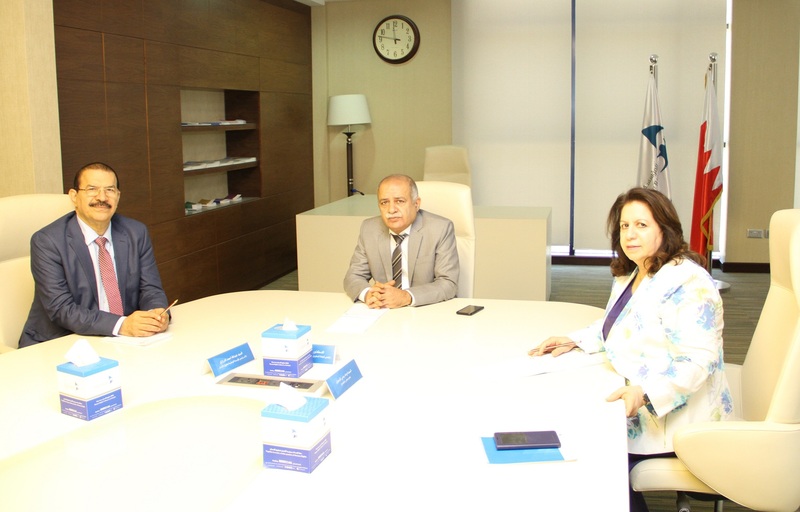 The National Institution for Human Rights (NIHR)’s Committee on Economic, Social and Cultural Rights convened its 19th regular meeting, under the chairpersonship of Dr. Hameed Ahmed Husain and membership of Mr. Abdulla Ahmed Alderazi and Mrs. Wedad Radhi Almoosawi. The meeting was held at the NIHR’s headquarters in the Seef District. The Head of Committee opened the meeting by congratulating the Government and the people of Bahrain, led by His Majesty King Hamad bin Isa Al Khalifa, the King of Bahrain, on the National Day of Bahrain and the Day of Sitting, noting that the celebration of this occasion is a national duty that reinforces the frameworks of loyalty and belongingness to the homeland. On the other hand, in coincidence with the annual anniversary of Bahraini Martyr Day, which falls on 17 December each year, the Committee commended the comprehensive and distinctive efforts and services provided by the Royal Charity Organization throughout the year to care for orphans and widows of the martyrs of duty and the homeland in particular and the orphans in general, by meeting a range of financial, living, health, psychological and social need of such group.